Kid from Resettlement Area Graduates from De La Salle-Manila! Ten years ago, Hungry Minds started in Malolos, Bulacan with Cargill as the anchor donor. Angela was one of the school’s first students. Her community had no electricity. Her family had no access to water inside their home. She studied using a gas lamp. 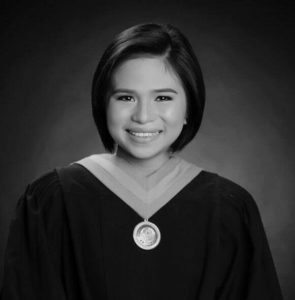 Today, through her hard work, her family’s support, and the help of Hungry Minds, Angela completed her BS Math degree from the prestigious De La Salle University-Manila! She has received a job offer from one of the top banks of the Philippines! Our warmest congratulations, Angela! We are proud of you! Thank you, Hungry Minds friends! This would never have happened without you!